Water Taxi Miami aims to introduce a one-year pilot program to take commuters to and from Miami Beach’s Purdy Avenue Dock by water, adding a route for traveling between Miami Beach and downtown Miami. This would add a route for the water taxi that has been operating since 2012 and currently links Bayside Marketplace, Miami Beach Marina and Sea Isle Marina. The Miami Beach City Commission approved the pilot program. Service is to be offered Fridays through Sundays, tentatively from 11:30 a.m. to 7 p.m. with the ability to extend time and increase days if demand warrants. 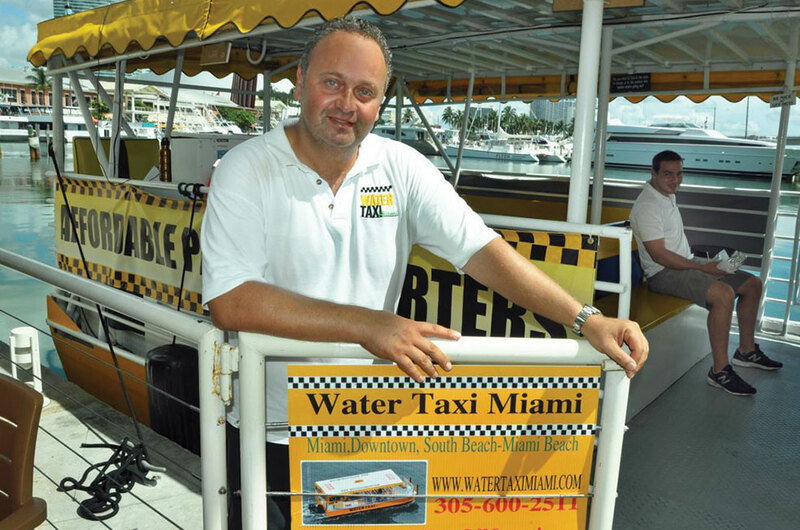 José González, Miami Beach’s director of transportation, said the waterborne taxi is a good alternative and a more relaxing way of commuting, mentioning that the water has a calming effect and that it saves commuters from going through weekend traffic. 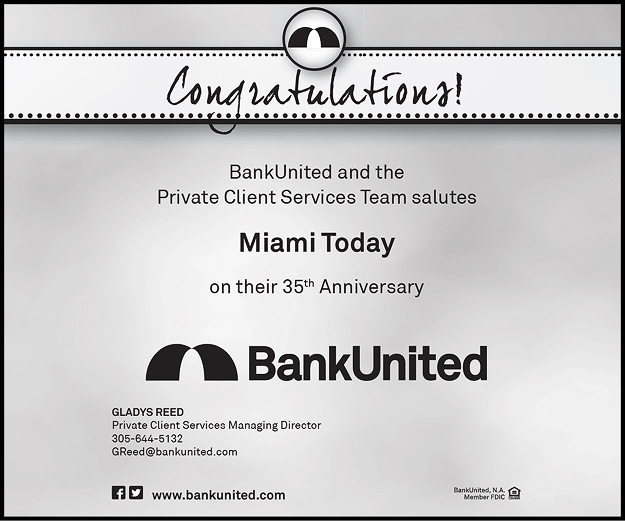 “This connects residents and visitors alike from Miami Beach to the city of Miami in lieu of using our very congested causeways and is a more stress-free way of commuting,” Mr. González said. 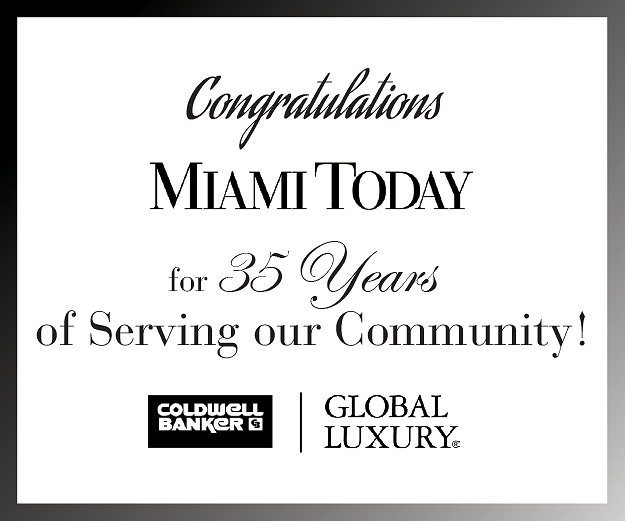 A launch date has yet to be announced as the City of Miami Beach and Water Taxi Miami negotiate an agreement. Mr. González said a contract is being drafted and he hopes service will be launched within 60 days. 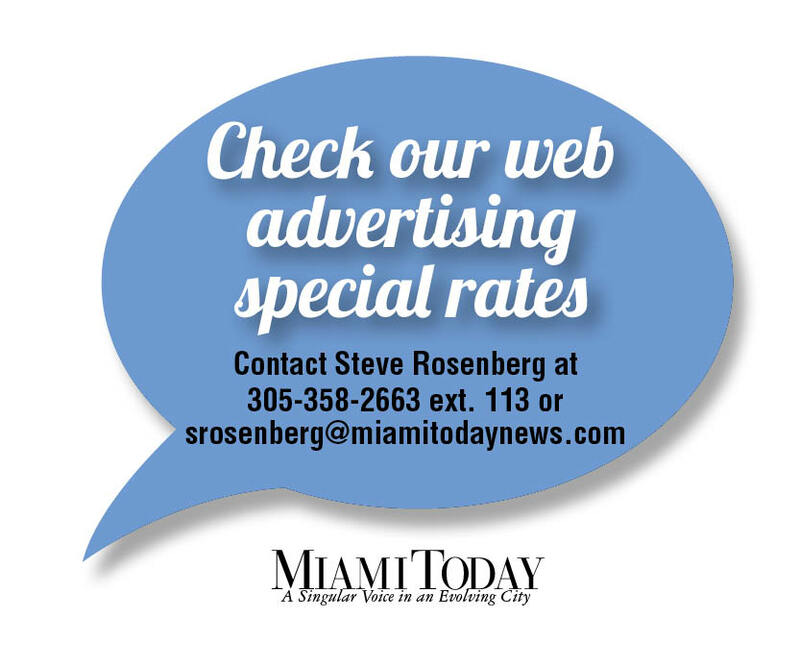 The city issued an invitation to negotiate for a public waterborne transportation service concession and the owner of Water Taxi Miami, Max Vlessing, was the sole proposer, identifying the need to have waterborne transportation. “We are looking together with the city to turn the water taxi into waterborne transportation to be able to transport people from one side of the bay to another without them using their cars,” Mr. Vlessing said. A 38-passenger boat and a 49-passenger boat under Water Taxi Miami embark every hour and a half, offering two routes. The yellow route is commonly taken by commuters. The green route, for those who want to see more of Miami, additionally ferries passengers to Virginia Key. The new service at Purdy Avenue Dock will be included in the yellow route that travels among Bayside Marketplace, Miami Beach Marina and Sea Isle Marina. According to Mr. Vlessing, that option may change. Fares for adults and children over one year of age will be $15 one-way and $30 round-trip. According to the City of Miami Beach, Miami Beach residents identified by the address on their driver’s license, senior citizens and military service members will have a discounted $10 one-way and $20 round-trip fare. A monthly pass is to be $95 along with a $295 annual pass option. Mr. Vlessing said prices for local residents could dip to $5 because he wants to encourage commuters to use this form of transportation, which also helps cut fuel costs. Some already showed that they’re receptive to water transportation: during the 2016 Progressive Insurance Miami International Boat Show in February, 52,224 guests were ferried by water taxis to the event in Virginia Key. Mr. González said he hopes there will be a future for the pilot program in Miami Beach’s plans. Great idea, but sounds pretty expensive to me. So a traditional family of four (2 parents and 2 kids over the age of one) will have to fork up $120 for a round trip from Miami to MB? And you wonder why this won’t catch on? Even if the rate is $5 across the board, a family of four’s round trip will be $40.00. I don’t see them ditching the minivan for a water taxi. Agree. Will never reach a meaningful level at this price point. This price point is way too high to generate much traffic. Should be closer in price and location to other mass-transportation, such as bus, trolley or Metrorail. I should think a service direct, non-stop between Brickell and the Beach would be popular. Right now there is no single-seat option from Brickell, except for private cars, cabs, and Uber. (Well, there is Citibike if you’re brave enough). Regular scheduled service to the Seaquarium (“Green line” that doesn’t need to be pre-arranged) could be a hit with tourists, as the mass transit options are not good. The pricing does not bother me and it a great pricing for this service. satisfied with their service and friendly accommodating staff. Once in operation I will use this new service frequently.